It’s people just like you who make our programs possible by choosing to give your time. Volunteer opportunities vary depending on where you live, but all of our locations need volunteers throughout the year. When you join our team of volunteers, you’re helping us build communities where lives are changed and hope is found. Volunteers are one of our strongest resources in meeting the needs of a community. 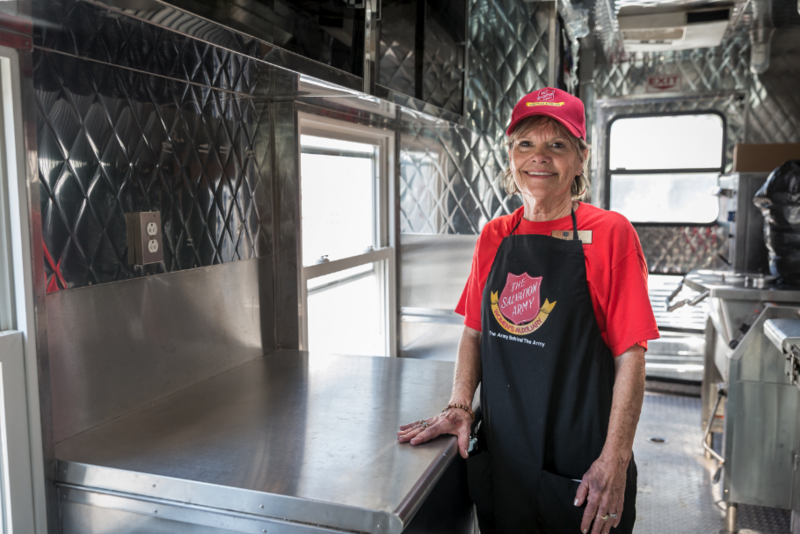 The best way to start volunteering is to connect with your local Salvation Army. Click on the area that best describes where you live to get started. Our one-time opportunities are perfect for those who want a quick and easy way to make a difference. These include activities like serving a meal any day of the year or ringing a bell during the holidays. Ongoing opportunities are designed for those who want to get involved on a regular basis. We’ll know you by your first name, and you’ll get to know the people in our programs. These include activities like working with youth, using your professional skills or serving after a disaster strikes. We can accommodate your group’s desire to do something good together – whether family, friends,coworkers, civic or church groups. Group volunteer activities are typically project-based or part of a larger event. In most locations, the easiest way to help from early November through Christmas Eve is to ring a bell at one of our iconic red kettles. Volunteers are the difference between an empty kettle and one that raises the funds that sustain the help we give all year long. Whatever you are passionate about – graphic design, organizational skills, fashion or something else – can most likely be leveraged as a volunteer. We always have opportunities ready to fill, but are also open to working with you to create opportunities that fit your time and talents. Volunteering can even be a way to further your professional connections – whether in our office setting or a board room as an advisory board member.